This article reports on the increasing number of families that end up homeless when their landlords go into foreclosure. This New York Times editorial supports legislation introduced by Rep. Keith Ellison (D-Minnesota) that would help tenants in foreclosure situations. 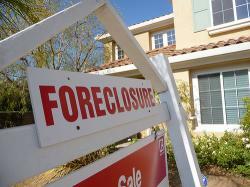 The Bakersfield Californian reports on what happens to tenants after a foreclosure. Youth United in Community Action (YUCA) organized a spirited march and protest yesterday that started in East Palo Alto and ended at Congresswoman Anna Eschoo's regional office in downtown Palo Alto and included a stop at the headquarters of notorious predatory landlord, Page Mill Properties. The New York Times reports that more and more California families are finding themselves living in motels because they are unable to afford the costs of moving into a new apartment. Assembly Judiciary Chairman Mike Feuer, D-Los Angeles, has introduced legislation to provide lawyers to low-income litigants. This article examines the impact of the foreclosure crisis on children, including children of parents who could not afford to pay rent after job loss. Tenants Together launched a Tenant Foreclosure Hotline just days ago and calls are already pouring in. 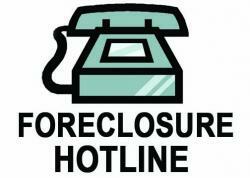 If you are a tenant in a foreclosure situation who needs help, give our hotline a call at 415.495.8012. The San Francisco Chronicle reports on the Midway Village housing complex in San Mateo county and the plight of its tenants who are dealing with toxic exposure. Tenants of a section 8 building in Venice have been organizing to purchase the building in order to not to lose the subsidized housing, which is set to expire in 2011. The Obama mortgage plan is criticized for not doing enough to address the impact of foreclosures on renters. The Santa Cruz Sentinel announces the Tenant Foreclosure Hotline. The San Luis Obispo Tribune announces Tenant Foreclosure Hotline. Market Watch reports on the impact of foreclosures on renters across the country. A new study shows that more than 70% of California's single senior renters are financially insecure and struggling to meet their basic needs. Sacramento Capitol Radio announces the Tenant Foreclosure Hotline. After defunding the renters' and homeowners' tax assistance program (known as the "renters' rebate") on grounds that the state could not afford to make any tax rebate payments to low-income senior, blind and disabled Californians, the Governor has signed new legislation to give $100 million in tax credits to people who buy homes between March 2009 and March 2010.